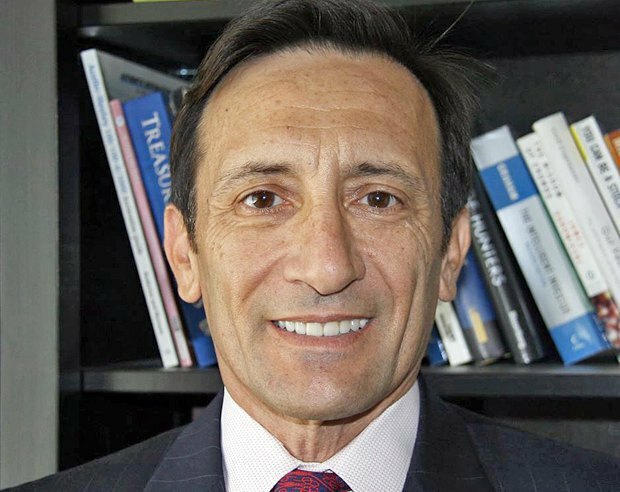 Rodolfo Amoresano has been in investment since mid-1980s. His focus is on emerging markets and distressed assets. It is no surprise that he became interested in Ukraine in the recent years. Since 2014, he has been Chief Investment Officer at Empire State Capital Asset Management. Two years later, in May 2016, he founded Ukraine Finance Partners (UFP). Rodolfo Amoresano is based in New York while the company’s co-founder Aleksandr Saul is searching for suitable investment projects in Ukraine. 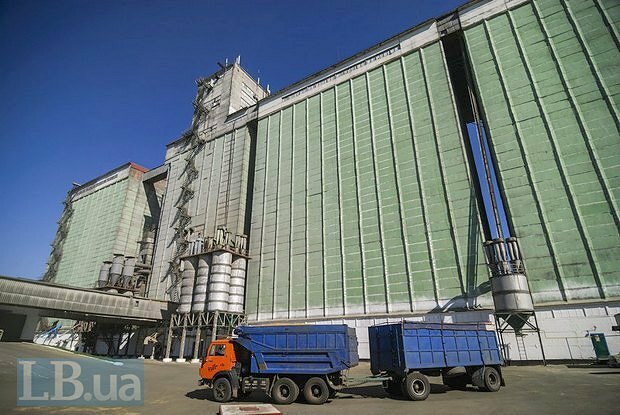 Rodolfo's company is already investing in Ukrainian assets. UFP has launched a SME support programme worth several hundred thousand dollars in a test mode. It is also looking for several medium-sized projects to invest up to several million dollars. Finally, there is a big agriculture project worth dozens of millions of dollars on the agenda, but such deal will require a lot of time to be signed. In this particular case other investment funds will need to be involved. "We are currently trying to consolidate efforts and focus. First, we are testing the situation by investing our own money and only then we use investors' money. Therefore when people ask us why we do not invest on our own if is profitable, we say we invest. We believe that the Ukrainian economy will start to grow, there will be more investors the way we saw in other countries," Amoresano says. War, corruption, many problems in Ukraine. Why would anyone want to invest in our country? It is true, everybody knows Ukraine has a lot of problems. But it is also true that Ukraine has a lot of potential. It is the bread basket of Europe. Ukraine has huge resources which are very cheap because of the crisis. It is a great source of technology. Despite all the problems, we believe that Ukraine has done a lot of progress in the last two and a half years. Your country has free elections, your country has an IMF agreement, disbursements with the IMF, your country has had some progress in the reforms. You can say you could have done more but there is tangible progress in the reforms – you just have to look the other day when the president and some of the cabinet members have started to declare their assets. The former finance minister restructured the country's debt, you have some stability in the east compared to what it was two or two and a half years ago. You refused from energy from Russia even for a slightly more expensive supply from Europe. But the benefit of independence from the Russians is part of national security. So there are a lot of good reasons why to invest in Ukraine without ignoring all the things that need to be fixed. What investors are you talking about? There is money for everything. There is retire money for older people that should never look at Ukraine, that should never look at Argentina, never look at distressed funds even in the USA. There is a different quality of money. Today money that should be looking at Ukraine can take high risks because Ukraine is a risky proposition. There is capital for that which comes in after Argentina collapses, Mexico collapses, Russia collapses. These can be hedge funds, private equity funds and high networth individuals, in other words a small amount of capital that has tolerance to high risks. Are we talking about Eurobonds and debt securities, or real business and infrastructure projects? Real economy? We think that there is a lot of potential here in Ukraine to do business with small and medium-sized enterprises (SMEs). For example, we are putting money to work with SMEs. It is a very high-risk capital but at the same time it is an opportunity because banks cannot, their holders are concerned about distressed assets they are trying to sell. Global financial institutions are not going to give money to Ukraine. There are a lot of small and medium-sized enterprises that have good businesses, there are honest businessmen, they need capital. With Aleksandr Saul we are looking to put money to work in such cases. For example, at the moment we have a small programme where we finance the receivables. We are also looking at small businesses. For example, at fish ones. We are looking at the numbers to see if they meet our criteria. There are two investors who are seriously looking (obviously, it is a slow process) at doing something in agriculture in Ukraine, the biggest asset and resource that Ukraine has. So these are all investments, these are not stocks or bonds, they concern companies, increasing the level of employment and increasing dollar earnings for Ukraine. This is money going into real economy. You have mentioned agriculture. Any other promising sectors? We do not focus on an industry. We let the market or opportunity dictate itself. So we do not say we must do cars or we must do the agriculture. We look to see what the country offers. But again, since the agriculture is huge, it is going to offer that. Another thing we focus on is technology. Aleksandr and I have a part ownership of a new startup in the technology area, a software company. We also focus on that. But again, if you look at our SME programme, it is less oriented towards an industry but rather oriented towards a good credit, a good receivable, which provide a good return. These receivables could be computers, cars or grain. We are not so much focused per sector, rather per opportunity. Why did you choose Ukraine and not Russia or Kazakhstan, for example? This is my personal view. The biggest difference that I see with Kazakhstan or Russia is that there is a clear will of the people to change, to improve their lives. I'm not suggesting that Russian people do not want the same thing, to be free. But I think Ukrainians had the opportunity to come out. When I go to Ukraine and I look at Maydan Square, when I see the pictures of people who perished to improve their lives, your lives, the lives of their kids – it is very powerful. Also you see a country that does not have another asset. They need support from the West, they need financial support. And in exchange for this financial support from the West comes financial discipline. Russia is not in that situation. Russia has resources, it has a different political system, different structures. Ukraine is much different in this case than Russia. I'm not really sure I can compare it with Kazakhstan, I do not follow Kazakhstan as much. Historically, if you look at the experience of Russia's collapse, or Argentina's collapse, or Mexico's collapse, all these crises, they also brought opportunities. And this is what Aleksandr and I see in Ukraine today. You have mentioned the restructuring of Ukraine's state debt last year. Could this happen again? Can this happen again? There are possibilities and probabilities. Is it possible? Of course, it is possible. But everything is pretty much possible. The thing is – is it likely, is it probable? I think if Ukraine continues on the path of reforms, if Ukraine continues on the path of allowing investors to come in and be transparent, its GDP will grow significantly. And in this case the debts are going to be much lower than they are right now on the percentage basis. Debts will come but they will not be so much of the state's but of the private sector. For example, on a microlevel when Sasha and I make a loan to a company, they use these funds for something productive, they are making money. They will capitalize and they will take an opportunity to do exports, to get dollars or to do something like that. So I think that the main focus should not be on the debts but on the growth that improves your ability to service the debts. The key question is can Ukraine service the interest? Absolutely. Can it change the maturity if they cant't do? Most countries, most companies and people roll over their maturity. If you own a home or have a credit card, you pay an interest, you pay it off and they give a new line. This should not be a problem with Ukraine. Again, you should focus on growing your country and attracting investments. Does your company have any geographic preferences in Ukraine? Are you interested in Kyiv or any particular region? I can answer this question in two different ways. A, we look at the whole Ukraine. B, we look at places where we are confident with the people that we invest. It is not so much about the region, it is mostly about: Do we know these people? Do we know their character? Do we know who they are and what they did in the past? When you do business, it is important who you do business with. And I think this is much more important than regions. Obviously, if we had something on the east or Crimea, most likely we would look the other way because there are a lot of opportunities in other places of Ukraine. And the fact that as a partner I have Sasha there is a huge resource for any investor. We have people, for example, who want to do business and ask us: what can you tell us about this company or situation? Anybody can read the financial statement but there are a lot of things, like the history of people or companies or beneficiary owners, which are very important when you try to do business with a company. No matter what their numbers look like. It is more important to us than where a company or opportunity is located. One more question which may sound strange. 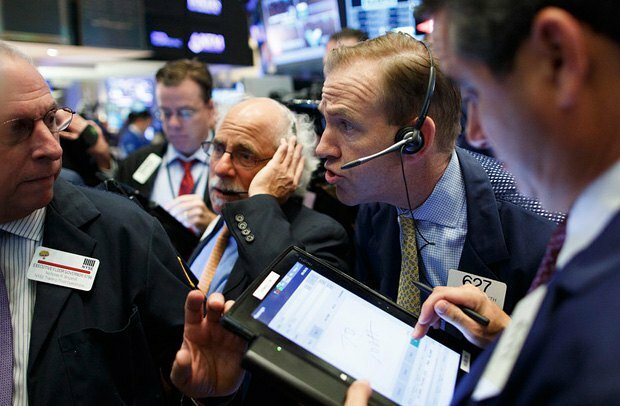 How can the US presidential election affect investors' sentiments on the markets of emerging economies? Will they be more optimistic or pessimistic if Donald Trump or Hillary Clinton wins? From the investor's point of view, I think that they would feel more comfortable with Mrs Clinton than with Mr Trump. Stock markets have gone up today. I think it is a reflection because the FBI came yesterday and said that there is nothing in Clinton's emails. Emerging markets would feel more at ease because Trump appeared to be very tough on the trading partners of the USA. Even if it's not true, it's in the air. I think investors would feel more at ease if Mrs Clinton gets elected rather than Mr Trump. But let me add something in the case of specifically Ukraine. One of the things we like about Ukraine, what we tell investors is that if tomorrow the US market goes down 2-3-5 per cent (and 5 per cent is significant), it has little to do with Ukraine. Ukraine's bonds, stocks, industry will improve based on what Ukraine does. If Ukraine continues to move along the path of reforms, if Ukraine continues to be closer to the West, if Ukraine continues to get a stamp of approval from the IMF, money will come to Ukraine. Because right now there is a huge gap between Ukraine and what it could be like Argentina, or Mexico, or other countries that are going through emerging market cycles but are much better. Ukraine still has a lot to do at home.